What's your 2014 reading resolution? Did you set any New Year's resolutions this year? Did any of them involve reading? Make sure to set a reading goal this year, and keep track of your progress all year long! What were your reading goals last year? Did you meet those goals? Let Ms. Knight know on the library blog (and see how she did with her 2013 resolution to read 400 books)! Have you ever taken a selfie? Well, go one step further, and take a "shelfie!" What's a "shelfie?" It's a picture of you in front of your bookshelf! 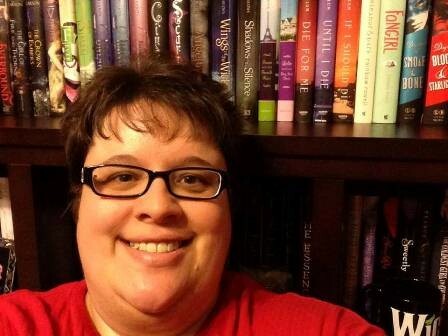 Ms. Knight is now creating a display of "shelfies," and she wants your pictures! The display will feature teachers, students, and even parents! 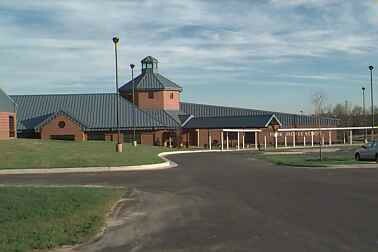 Digital photos are preferred and should be sent to Ms. Knight at klknight@greenville.k12.sc.us. Be sure to include the name of the person(s) in the picture! Thanks to everyone who participated in the very first Fork Shoals Library Holiday Stocking Contest! This year, we had twelve entries, and I hope to see many more next year! Our winner for the 2013 contest was 4th grader Shawn McMichael and his stocking featuring Chris Gall's book, The Substitute Creacher. Check out the video below to see Shawn's stocking, his fabulous prize, and the other stockings entered in the contest! Battle of the Books practice is held each Tuesday in the library from 2:30 to 3:00. This team is open to any 4th or 5th grade student. For more information, click here or see Ms. Knight in the library. It’s clear than Kansas and Francine have more in common than either of them realize. And when the Dare War comes to a head, will they be able to put aside their battle, work together, and form a friendship in the midst of so much uncertainty? Who will win the coveted anchor job? 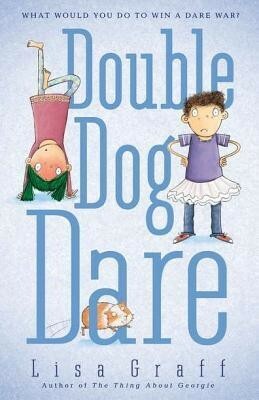 I double dog dare you to find out when you read Double Dog Dare, a 2013-2014 South Carolina Children's Book Award nominee, by Lisa Graff! The 2nd Quarter Reading Challenge began on Monday, October 28th. Once again, K5-2nd grade students are challenged to read 30 books (or more) this quarter. 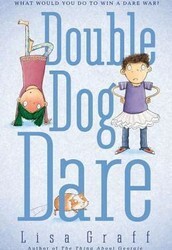 3rd-5th grade students are challenged to read at least 500 pages! Reading logs were placed in teachers' boxes and handed out to students. Additional reading logs can be found here. The Reading Challenge logs for the 2nd quarter will be due to Ms. Knight on Tuesday, January 21st. The monthly lunch menu can be viewed on our school website by going to the Parent Tab and then Meals and More. From time to time, the lunch menu may change. To better communicate these changes to you, this page will also have the weekly menu posted to indicate the meals for the week. Explore books for the elementary school crowd!